What are WordPress User Roles & How Do They Work? WordPress user roles are designed to give the website owner the ability to control what users can and cannot do within a site. Each role is allowed to perform a set of tasks, or capabilities. What is a WordPress User? Before we can understand user roles, we need a basic understanding of what a WordPress user is. A user’s role is what determines the level of access they have to your site. Each role is assigned a list of permissions (called “capabilities”). These capabilities determine the more specific features & functions of a site that a WordPress user has access to. 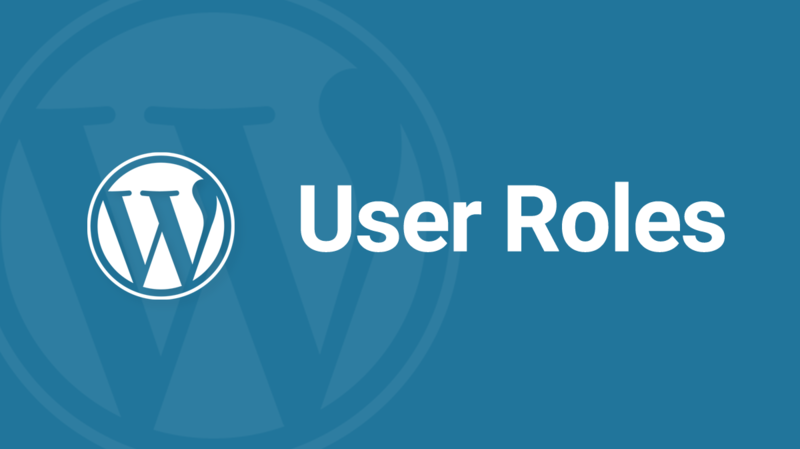 A typical WordPress site has 5 default user roles. There is a sixth user role called Super Admin, but that is only available in WordPress Multisite. In order from most-to-least access, let’s explain each role in more detail. A user’s role is chosen (or edited) on the “Edit User” screen. An Administrator has complete access to manage every aspect of your website. When WordPress is installed, the first user that gets created has Administrator access. Because this role is so powerful, you should assign as few Administrators as possible (ideally, only one). An Editor has complete access to manage your site’s content. They cannot access your settings, themes, plugins or users, which means they can’t change the design of your site, or break important functionality. An Author has the ability to manage only their own content, but no one else’s. This means an Author cannot approve, edit or delete another user’s content. They also cannot edit static pages (only posts), nor can they moderate comments. A Contributor can write new posts, but cannot publish them. They are also denied the ability to upload media files. A Subscriber cannot manage any aspect of your site. By default, once logged in, a Subscriber can only access his or her profile in order to change their password and basic information. Aside from the default user roles, WordPress allows you to create any number of custom user roles with fine-tuned capabilities. There are several plugins that make it easy to manage user roles, as well as create custom ones, but our recommendation is Justin Tadlock’s Members plugin. Some WordPress plugins will add additional user roles to your site. These roles will appear on your Users screen, and you’ll have the ability to assign them to your users. A common example of this is WooCommerce, a popular ecommerce plugin for WordPress. WordPress user roles are displayed on the “All Users” screen.